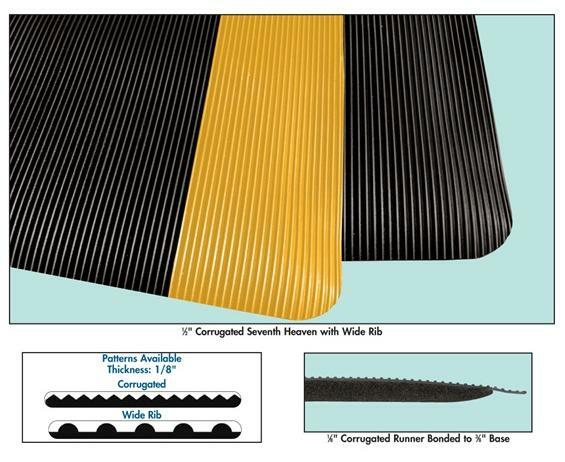 All purpose runner combines durable protection for floors with easy maintenance. V-Ribbed surface provides sure-footed traction. Great for automotive and machine shop areas. 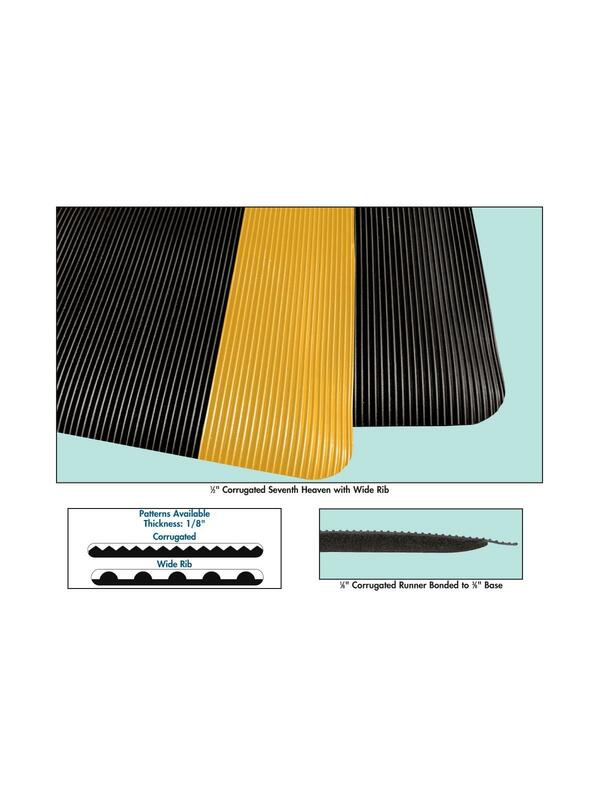 All-purpose, flexible 1/8" PVC runner allows for improved safety. 100% PVC compound resists grease, oil and other common chemicals. Available with anti-fatigue 1/8" PVC surface bonded to a 3/8" closed cell-foam base for added comfort. No Glue Bond means no delamination, extending the life of your mat. Custom cut lengths on runners to 105'; custom cut lengths on anti-fatigue matting to 75'. FOB Shipping Point. See Related Items tab for Corrugated Matting.